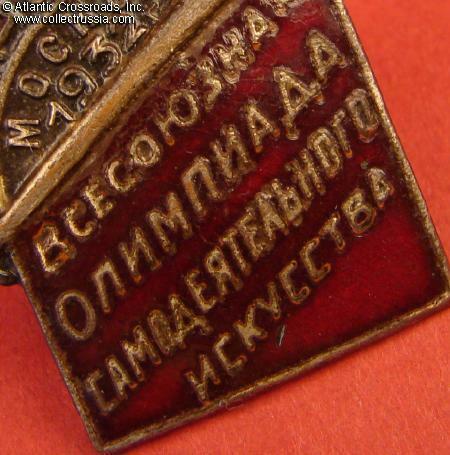 Participant's badge of the All-Union VTsSPS Olympiad (Contest) of Amateur Performance Arts, Moscow, 1932. 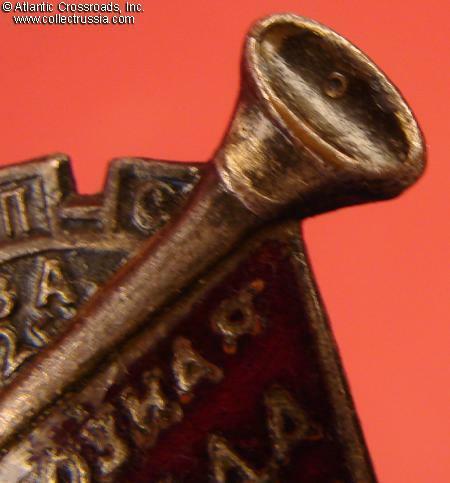 Silver-plated brass, enamels. 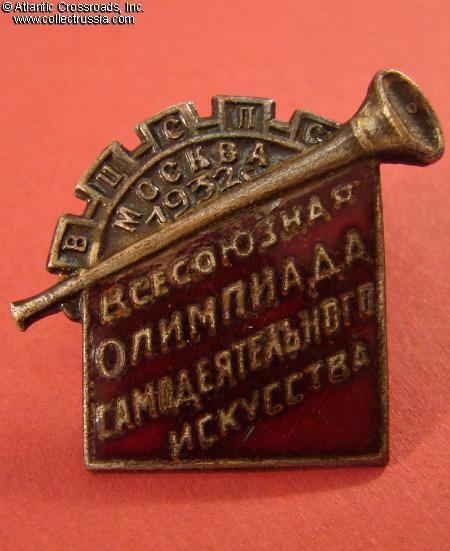 Interesting design incorporating a cogwheel and a military style bugle, apparent references to the proletarian roots and the "revolutionary" role of the arts. 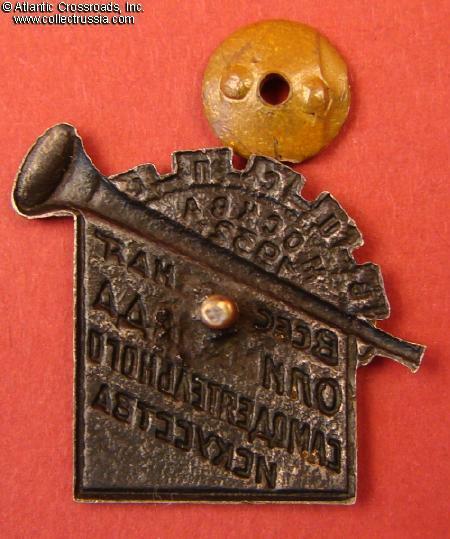 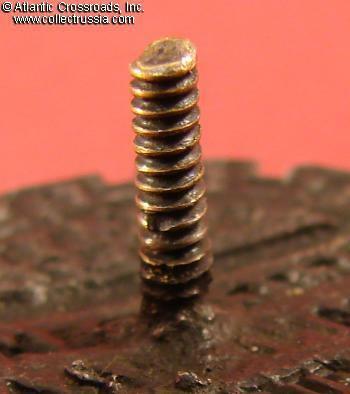 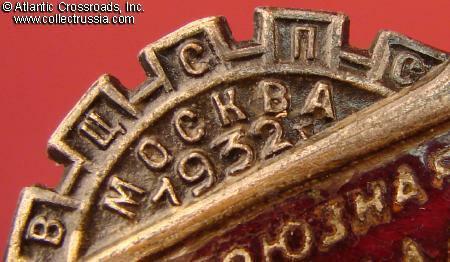 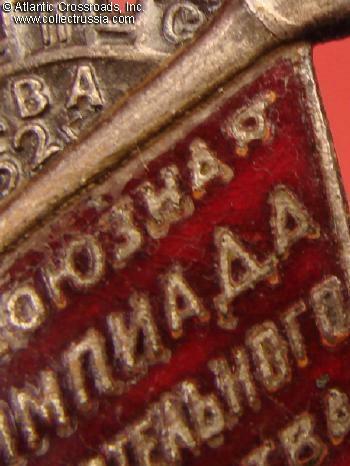 Letters "VTsSPS" (ВЦСПС) in the teeth of the cogwheel stand for the All-Union Central Council of the Trade Unions.